A Wild Rant: You’re Doing Facebook Wrong! A special episode this week where I go a bit rant crazy. A big thank you to my friend Amy Porterfield for supplying this week’s suds! You know how we roll around here. Open that fridge… grab a drink… pop a bottle… Let’s do it! It’s been two years now since I started my Facebook Page. As a result, I provided some stats this week that help provide a visual for how my Facebook imprint has evolved over time. However, that post lacked soul. What I wanted to do was provide a bit more background on my struggles along the way. So we jump in the time machine and turn the clock back a couple of years to revisit why I started my Page in the first place and the obstacles I battled through. First post: Why I started my Facebook Page. Virtually no engagement the first month. First year-plus, experienced some solid growth. It wasn’t until this year — Beginning in July — when my business truly took off on Facebook. 2) Build an audience through providing value. 3) Sell is final step, not first. Forrester did a study recently that led to a blog post that got me fired up and resulted in a classic rant! The study: 395 marketers and executives were surveyed regarding their satisfaction level with Facebook and other marketing platforms. Facebook came in dead last with a 3.54 out of 5.00 average, .30 from the top finisher. The blog post: The author essentially used this as proof that Facebook marketing is a waste of time and money. He even used the 16% reach number — a topic that gets me fired up every time — as further evidence (both to support his argument and underscore his ignorance on the topic). I wrote a post yesterday in response to this, but I expound a bit on the Pubcast. And I use my experience during the past two years as an example of what you should and shouldn’t do to find success on Facebook. Bottom line: With more than 1 Million advertisers, I’d be willing to bet that Facebook has a high percentage of newbie advertisers who only boost posts and try to get the cheapest likes possible. And many also likely jump into Facebook with the wrong approach and expectations. And my assumption is that a high percentage don’t use many of the tools that lead to success. So I hate small sample size studies like this that result in sweeping generalizations. Because I know Facebook marketing and ads work! You Only Reach 16% of Your Fans: THE HORROR! Want to be featured on the Pubcast? 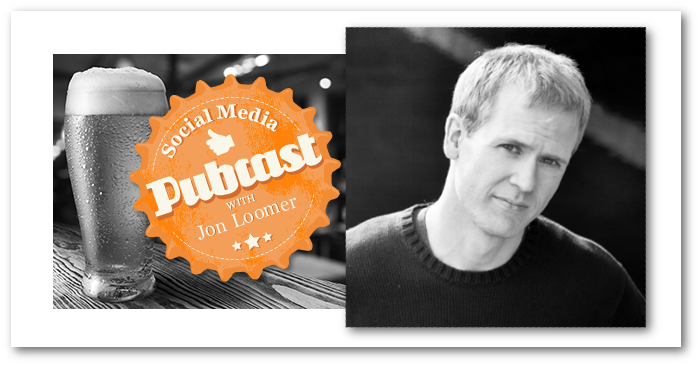 Go to jonloomer.com/awesome to submit your question!